At their Intermot presentation today Yamaha unveiled an all new bike in the form of the XJR1300, described as a "Sport Heritage" model. A variant named the Racer adds a few bits to provide Cafe Racer styling. Also unveiled was a variant on the MT-07 called the Moto Cage, which adds graphics and parts inspired by stunters. 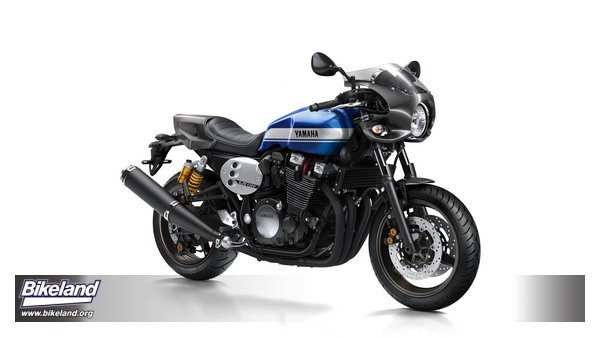 Yamaha unveil the evolved inline four XJR1300 and XJR1300 Racer, proudly showcasing the influence of recent collaborations with the world’s best customizers. The Yamaha XJR1300 is an icon whose raw presence has been unrivalled over the last 20 years since it hit the streets. For 2015 the XJR is back, and it’s evolved. The 1300cc naked street machine stays true to its ‘Japanese Performance Classic’ origins with a pure, powerful design and the largest displacement air cooled engine on the market as its beating heart. The 2015 XJRs sit proudly in the Sports Heritage Range, continuing Yamaha’s drive to deliver beautiful yet functional motorcycles inspired by the past and built for the future. The last five years have seen Yamaha working closely with various professional custom builders, collaborating to create a series of concept machines together. These truly unique creations are called “Yard Built”. This shared experience has provided a lot of inspiration in product development, Yamaha Motor and Yamaha has started to incorporate custom design into factory bike production as a result. Collaborations with builders such as the Wrenchmonkees and DEUS Ex Machina have had a significant influence in the development of the new XJR. The friendship with Keino, who recently unveiled his version of XJR1300 named Rhapsody in Blue, has also helped and influenced bringing this new machine to life. Following the successful XV950 introduction last year, the new XJR1300 is another motorcycle from Yamaha that’s born customized. The machine rolls out of the factory with stunning styled components in the latest premium materials, looking far from ‘stock’. The slim, racer inspired fuel tank dramatizes the muscular, powerful 4-cylinder air-cooled engine whilst the new solo-seat design gives that custom feel and adds credibility to the performance. The menacing black 4-2-1 exhaust pipe and muffler ends in a new tail cap design, setting off the look. A shorter tail at the rear adds to the compact, muscular silhouette in line with the narrower front tank. Further standard ‘custom’ additions hint at the respect the bike gives to the production racers of the 1970s, including a cool aluminium side cover in a buffed finish with filter-like mesh inserts. Tapered aluminium handlebars and a compact headlamp come together to highlight the muscular image. The XJR’s powerful and reliable 4-cylinder DOHC air-cooled engine produces an impressive 98hp and 108Nm of torque. The power plant sits in a steel double cradle frame with a clever engine mounting system designed to re-direct vibrations generated whilst riding. Supporting a smooth ride are the friction reducing DLC (Diamond-like Carbon) coated inner tubes for the front suspension partnered with a premium Ohlins rear suspension set up. The fuel tank has also been fully re-designed with a slimmer profile to make the most of the muscular exposed engine whilst still retaining the ability to hold 14.5 litres of fuel. Wider handlebars that sit closer to the rider now offer a more upright seating position, giving more confidence and a cooler ride. The new XJR has enough presence to make a statement for any rider with its massive air-cooled engine and stripped back, pure design. As a result of our collaboration with professional custom builders, a simple, clean structure and independent component design has become a reality on our Sport Heritage motorcycles so that anybody can take their bike further to make it into their own unique style. Thanks to clever new design and simple construction with all unnecessary parts removed the XJR is also easy to customize at home. How far you want to go is up to the customer. 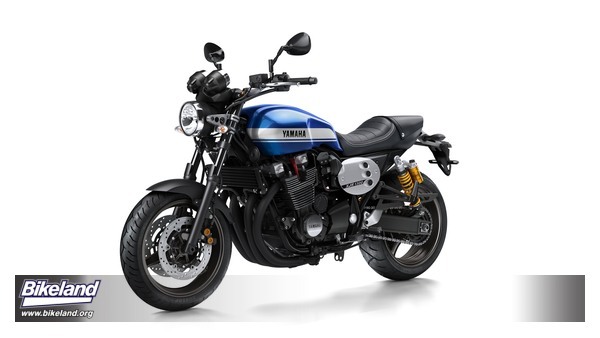 The new XJR1300 is available in Power Blue, Matt Grey and Midnight Black from December onwards. Just as Keino’s Rhapsody in Blue inspired the new XJR1300, so the collaboration in 2013 with Deus Ex Machina on the beautiful XJR1300 Eau Rouge inspired the new XJR1300 Racer*. The all-new Yamaha XJR1300 Racer is a custom twist based on the all-new XJR1300 machine. The iconic street bruiser gets a genuine Café Racer look with a number of beautifully crafted additional parts to create a stunning retro styled machine to raise the pulse on the street. A cool carbon cowling and short carbon front fender pay homage to the iconic café racers of the seventies whilst period style clip-on handlebars are used to deliver the correct riding position. The beautiful and sporty styled solo-seat design is further enhanced with a carbon seat cover to complete the look. The riding position is more focused than the standard XJR giving a genuine Café race style with a narrower, more forward sportier feel. The 2015 XJR Racer is an evolution of a classic. The 1300cc naked street machine on which it’s based stays true to its ‘Japanese Performance Classic’ origins with a functional, simple design and the largest displacement in line 4 air cooled engine on the market as its beating heart. The Racer is available in the full range of 2015 XJR colors. The 2015 XJR Racer sits proudly in the sportiest side of the Sports Heritage Range, continuing Yamaha’s drive to deliver beautiful and emotional motorcycles that remain functional even in daily usage. The XJR1300 Racer is a special edition built up by an official Yamaha dealer with genuine Yamaha parts. 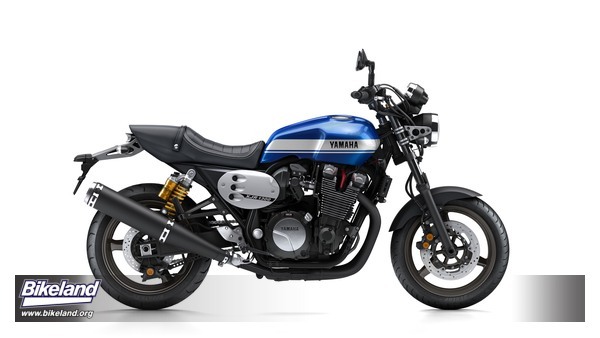 Yamaha have prepared plenty of bolt-on genuine accessories for the 2015 XJR1300 and XJR1300 Racer to help customers realise their personal style. They can also take inspiration from the many ready-made custom pieces from our Yard built collaborators. The Dark Side of Japan meets the acrobatic stunt world with this new variation of Yamaha’s best selling MT-07. The Yamaha MT family is taking the world of motorcycling by storm. First came the MT-09 triple, followed soon after by the MT-07 twin, and more recently the MT-125 - and each one of these bold and innovative new models has set new standards for performance, originality and affordability in their respective categories. Inspired by the Dark Side of Japan and characterized by their strong linear torque and aggressive naked styling, the dynamic MT family is attracting a wide range of customers from diverse sectors of the biking world. 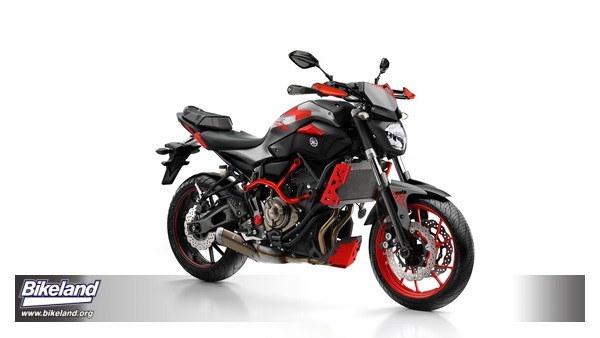 In their debut year, Yamaha's MT models have totally reinvigorated the motorcycle market by opening up a whole new direction and lifestyle for thrill-seeking riders who are looking for something different. Few new model launches in recent years have attracted such widespread acclaim from the press and public, and in their debut season the MT-09 triple and the MT-07 twin have brought fun, excitement and enjoyment back to motorcycling. In the same way that the MT-09 line has been reinforced with the recent arrival of the Street Rally and Sport Tracker variants, the top-selling MT-07 twin will be joined by the extreme new MT-07 Moto Cage variant, giving younger MT fans an even wider choice of unique and characterful models. Being announced shortly after the arrival of the ground breaking MT-09 triple, the MT-07 had a lot to live up to. Following glowing press tests this new 700cc twin has established itself as one of the most exciting, original and thrilling bikes on the street, and it is already being talked about as one of the most influential designs in recent years. The record shows that the MT-07 has exceeded expectations in virtually every area, and thanks to its class-leading combination of strong linear torque, lightweight agility and a thrilling riding experience, this affordable middleweight twin is topping the sales charts all over Europe. Inspired by the Dark Side of Japan, the Yamaha MT-07 has struck a chord with today's generation of bikers who appreciate soul, character and individuality - as well as unbeatable value for money. Now Yamaha are about to take the concept into new territory with the imminent arrival of the radical new MT-07 Moto Cage. Featuring bold and vibrant graphics and equipped with a range of stunt-inspired chassis components, the new MT-07 Moto Cage is ready to unleash the more extreme face of the Dark Side! 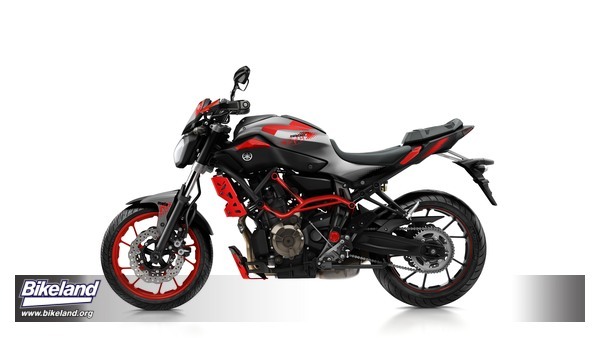 The new MT-07 Moto Cage features a vibrant new colour scheme with special tank and tail graphics, and is equipped with a range of exclusive new components that give this exciting and charismatic 700cc twin a more edgy and aggressive stunt-bike image. The bike's specially developed parts include frame-mounted engine guards as well as a tough tubular under guard that give extra protection and also underline the bike's extreme stunt-inspired image. To enhance its tough urban look the MT-07 Moto Cage is fitted with lightweight knuckle protectors as well as an adjustable front light mask, while protective stickers are located on the slim bodywork. To complete this exclusive new package the MT-07 Moto Cage is fitted with a special newly designed passenger seat and lightweight radiator guards finished in red. The Moto Cage comes in a Matt Grey base colour, and features exclusive new red graphics on the tank and tail unit - as well as a number of red chassis components - that highlight the bike's street-inspired looks. To underline its unique appeal it is fitted with a red front wheel combined with a black rear wheel featuring a red pin stripe. MT-07 Moto Cage riders who want to create the ultimate package can personalize their bike with a specially developed lightweight Akrapovic exhaust that emits a forceful note and gives an even more exclusive look. Yamaha also offer a wide range of Genuine Accessories for the MT-07 Moto Cage, including red steel mesh air scoops and side covers, as well as a wide choice of high quality billet covers and billet protectors. 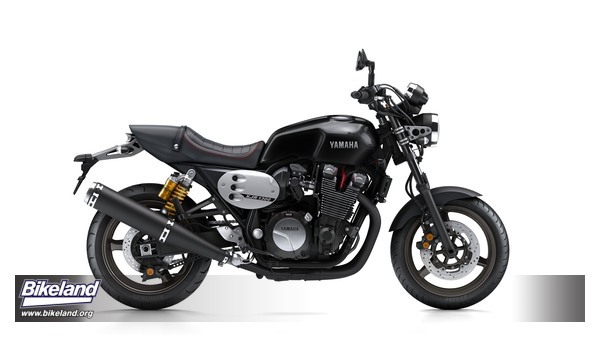 The list of Genuine Yamaha Accessories also features a special licence plate holder and side stand extension, as well as numerous other items that enable the rider to create a unique package. The MT-07 Moto Cage is available in Matt Grey (with Moto Cage graphics) from November 2014 onwards. * The MT-07 Moto Cage is a special edition built up by an official Yamaha dealer with genuine Yamaha parts. *The MT-07 Moto Cage is a special edition built up by an official Yamaha dealer with genuine Yamaha parts. The MT-07 Moto Cage does not include the Akrapovic exhaust, LED flashers and Licence plate holder.